winner of the Lookout Alabama SELTI Writing Contest. Tourism Attractions: DeSoto State Park, The Bookshelf Etc. Photos By: Randy Grider, Lookout Alabama Magazine. Click any photo to enlarge! 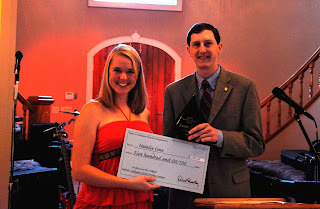 Congratulations to Natalie Cone, whose tourism short story “The Totem” won the Lookout Alabama SELTI Writing Contest! Read Natalie’s story below, which will be published in the inaugural issue of Lookout Alabama magazine this summer. 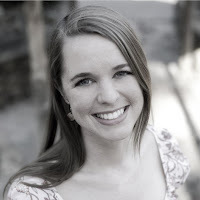 Natalie also won the 2013 SELTI Tourism Fiction Award and a $500 prize from the Alabama Tourism Department for promoting tourism to the Lookout Mountain Alabama area in a fun new way: through a tourism short story. The award and prize were presented by Senator Clay Scofield, chairman of the Alabama Senate Tourism and Marketing Committee, at the recent Lookout Alabama summit held at Cook Castle in Fort Payne, Alabama. from the Alabama Tourism Department. The photos in the story below are of the real locations, the Bookshelf Etc. bookstore and DeSoto State Park, both in Fort Payne. Click on the links in the tourism guide at the end of the story to find out how to visit these places in person, not just read about them in a story. The tourism guide also includes links and information on surrounding tourism attractions to make a fun-filled family or romantic vacation in the Lookout Mountain Alabama area. eagle totem to the fictional character Roy. Roy cleared his throat to force down the rising emotion and patted the dog’s head, relieved when the echoes of gunfire faded into the sounds of rain beating the ground. He opened the cover of the book in his lap and began to read the handwritten pages. It was the warmth of the sun that woke him. Roy uncurled from his lawn chair and yawned, feeling refreshed after such a deep nap. Roy stood and stretched taking a deep breath of fresh, rain-dampened air. The moment his pants slipped from his waist and crumpled at his feet, he knew there was a problem. Roy awakes in his ten year-old body. “Beville, you’re huge.” It was when he spoke the words that he realized his voice had lost its depth. Roy waded out of his jeans and tripped on the hem of his shirt as he stumbled into the camper and stood in front of the mirror. “What’s happening?” he asked his smooth, freckled-face reflection. Roy and Aiden hike the real trail to Laurel Falls. “I think if you crawled over from this side and flatten yourself between the tiers, you could search behind the falls,” Aiden said. Roy nodded, then took a deep breath and began the climb, easing onto the damp rock on his belly. He inched forward, wincing against the cold water droplets that trickled into his eyes. Once Roy was behind the falls, he began to feel around, wishing he’d brought a light. “This is stupid,” he shouted back, feeling nothing but cold rock beneath his hands. Just before giving up, Roy felt a mossy patch at the back of the rock. He dug deep into the wet mud. When his fingers wrapped around a small, loose stone, he dragged it out and wiped it clean. It was the totem. An eagle with outstretched wings, just like the cover of the book. Roy sighed with relief, gripping the small carved stone. He held it to his forehead and wished himself back into his real body. Nothing happened. to make himself older again. By the time Roy reached his camp, it was getting dark, and the temperature had dropped. He built a fire and huddled near it, wrapping his arms around Beville for warmth. He had abandoned his wet, muddy clothes for the over-sized jeans and shirt. At least they were dry, even if they did hang from his small frame. Aiden returns the totem to Roy. When he heard laughter from the neighboring campsite, he ran over to show Aiden that the totem had worked. Aiden and his mother looked up from their seat at the picnic table, surprised at his sudden appearance. Aiden frowned at the strange man standing before him, then recognition filled his eyes. Aiden’s mother stood, her glossy brown hair hanging in waves at her shoulders. She held out a small hand. Just before closing time at The Bookshelf, Connie meticulously dusted the shelves. She restocked a few titles that had recently sold, making sure to leave a space at the end of the shelf. Before her eyes, a leather-bound book appeared, bearing an image of a dragon on the front. SELTI and Lookout Alabama magazine wish to sincerely thank all those who entered the contest and the judges who volunteered their time to help us select a winner. All of the five stories listed above represent the Lookout Mountain Alabama area well, and each will be published in a future quarterly edition of Lookout Alabama magazine, so be sure and sign up for a subscription. Laurel Falls, the Bookshelf Etc., and Desoto State Park are all real places to visit in or near Fort Payne, Alabama. However, these attractions are only a few of many scenic places in the Lookout Mountain Alabama area. Other area attractions showed up in many of the Lookout Alabama SELTI Writing Contest. stories, so the tourism links below offer more information on how to visit the area. Seeing these sights in person is the only way to fully appreciate the breathtaking beauty of this preserve of national wonders. Some of the area amenities include charming cabins and luxurious lodges, quaint bed and breakfasts with spectacular views, delicious independent restaurants, and unique local shops. Lookout Mountain Alabama offers a getaway, both physical and mental, from the stresses of everyday modern urban life. Browse through the links below for a taste of what it would be like to slip away either on a fun-filled family vacation or a more intimate romantic adventure. Lookout Mountain Alabama offers both! Lake Guntersville. Right next door and great fishing!